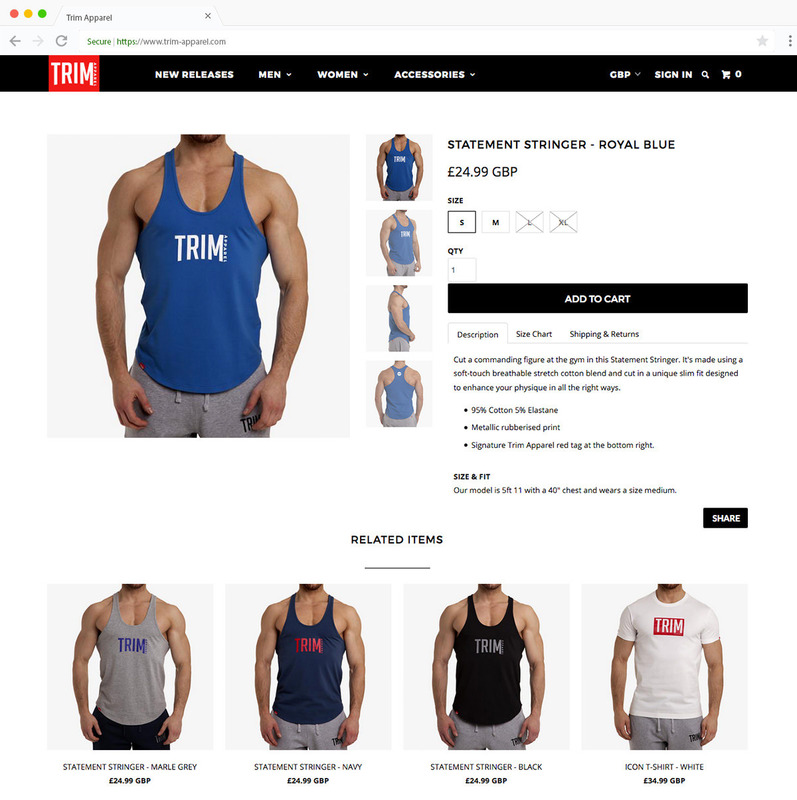 "A welcoming team, creative office that I could pop into and a pleasure to work with..."
Trim Apparel launched their gym wear and lifestyle brand in 2016. The brand draws inspiration from luxury lifestyle and street culture with bold statements across the ranges, fusing both fashion and fitness to bring cutting edge fashionable active wear to their customers. Trim's clothing range and accessories are all about standing out, not fitting in. 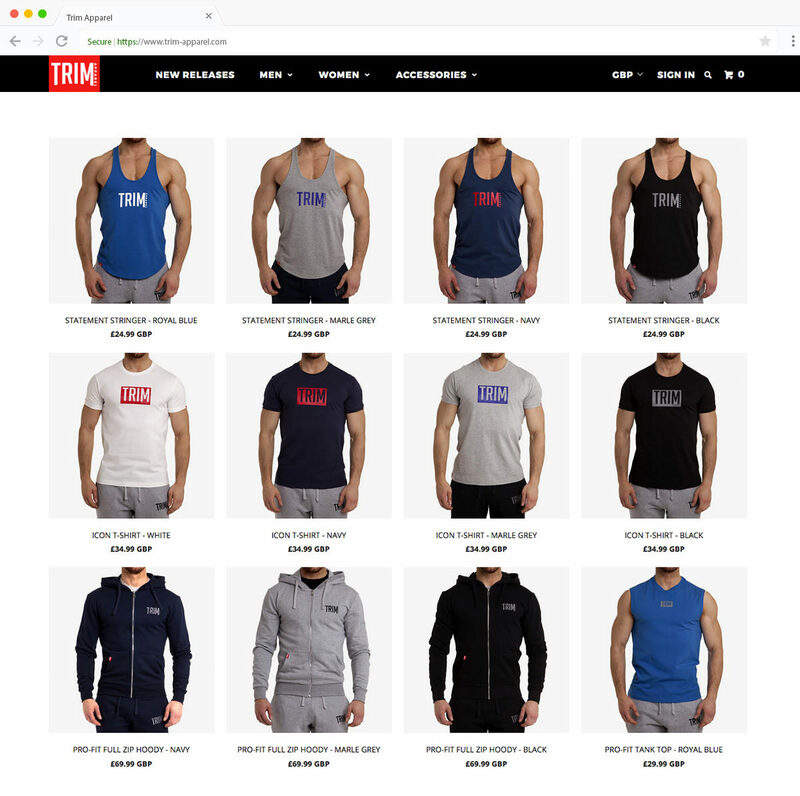 Trim Apparel needed a cost effective way to launch their store as well as launching quickly as to not miss out on a key season for the brand. They needed an agency that could react quickly and who were also accessible in person when they needed them. The brand did not want to worry about IT and infrastructure or any complex updates along the way and as such Shopify was there number one choice. Our team supported the brand in launching their online Shopify store on budget and on time, meeting their tight deadline. We were able to work closely with the team at Trim Apparel and have several in person workshops to make sure all requirements were understood. 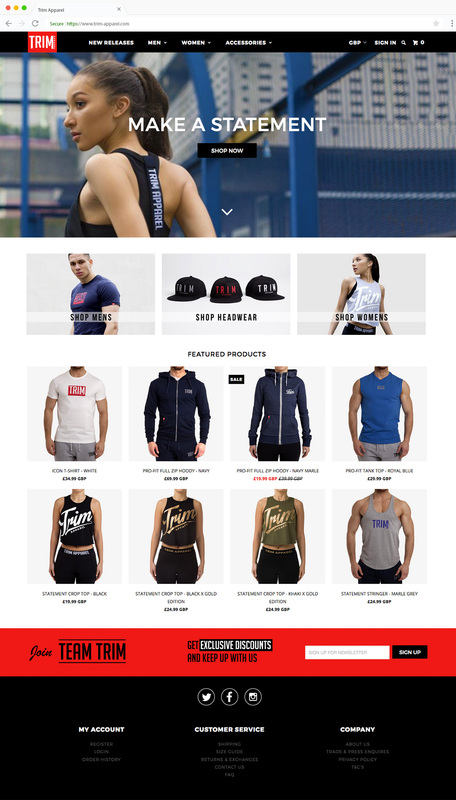 To meet the fast turnaround, an existing Shopify theme was selected from the Shopify Themestore and then customized with bespoke features to portray the brands image. Working with Michael and the team at Smart Cookie was a great experience. They did a great job creating my shopify store and educating me on what apps to use and helping me with finding the right solution for my business. A welcoming team, creative office that I could pop into and a pleasure to work with. A+ rating for anyone looking for a hands on, creative website designer. Thanks!